I think Mountainaddict is having us on. That bottom photo looks like Yad Moss to me! The last pic is on the bottom half of Carn Aosda - the tow is on skier's left, just over the fence. Oh Lordy! Terrible news about Cairngorm. I'm actually moving up to Elgin (between Inverness/Aberdeen) and was hoping to get a fair bit of skiing done. Does anyone have any advice now it seems that regular visits to Cairngorm are off the table? @jonnygoldsbrough, Cairngorm mightn't be a complete write-off. Beyond that, depends on how far you want to drive. From Elgin you can still get to Nevis Range, Glenshee, and of course The Lecht without too much hassle. 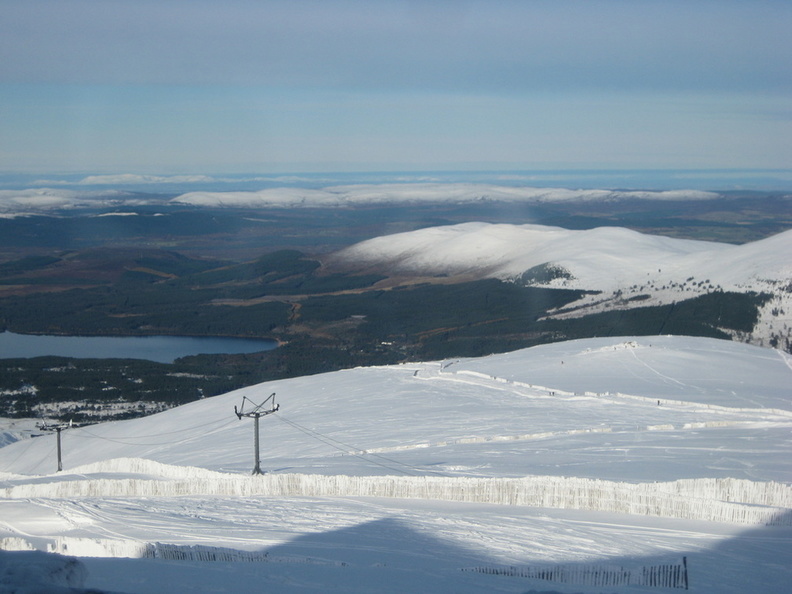 Have you skied in Scotland before? Father in laws yellow bumble bee jacket. Had two minute lesson from the family before being left to work it out myself. Loved every minute and am now ski addicted! Have they started pumping the artificial snow in any Scottish stations? No Oct or Nov lifts running for the first time in years. @Whitegold, yes, certainly at Glencoe and The Lecht. Glencoe is opening Dec 1st (very limited area though). @Whitegold, rarley do the lifts turn in November, never mid October. Weirdo. Anyone else remember this epic day, 2nd November 2008. Opening day (for skiing) is Sunday, 2nd Dec, 2018. And a bonus vid from the Glencoe groomer. Been following the coe snow making on insta but that little vids got me daydreaming of Scottish shredd! People been sliding around at Glencoe today. Just seen a little vid on insta. Looks like the snowmaking's been complimeted by a nice bit of the real stuff too. I have everything crossed for another great British season ahead! Exciting report from Glencoe yesterday. 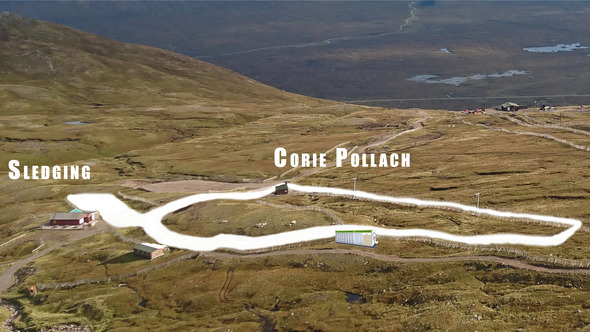 Anyone know if Cairngorm's Snow Factory has arrived yet and if they've fired it up? Or if they've hired any seasonal staff yet? Yes, the Snow Factory arrived a couple of days ago, no idea about seasonal staff due to company going in to administration, there has been no updates on their website or Facebook recently but suggest you keep checking in case they start up again. how can they afford the snow factory??? @scottydonald, HIE bought them to make sure there was skiing at Cairngorm this winter. The crowdfunding never got anywhere near the total. Maybe that’s why they have some kind of lease deal with the Lecht. I gotta say I'd happily ski with these two all day. If only all vloggers were like this. Some Glencoe photos from a few days ago here. Already exhausted the present seasons stash via Instagram. Needed something new and preferably sweary! But thanks anyway! A good, 12min video of steep skiing in Scotland, around Glenshee and elsewhere. I've had a bit of a skint year so can't afford the kit but I really want to do some touring as soon as it's feasible. Films like that really whet the appetite. 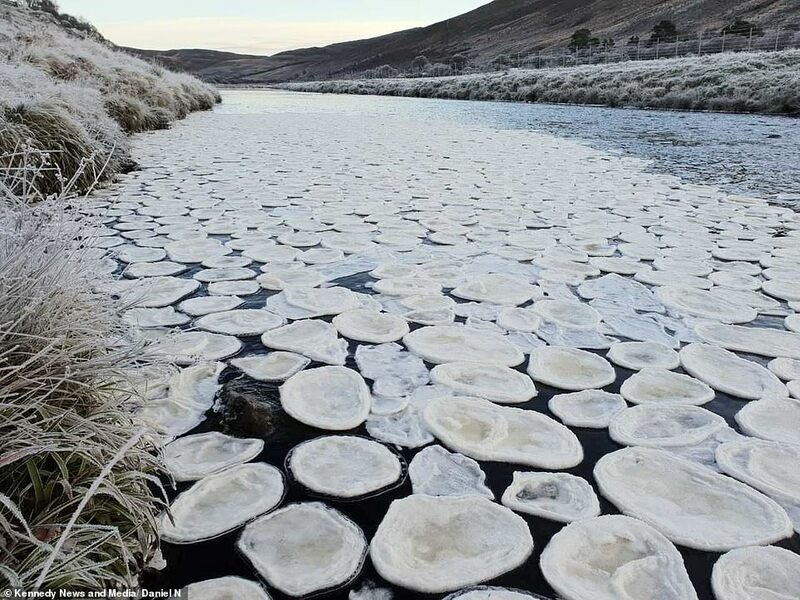 Some rare "ice pancakes" in Scotland this week. Glencoe is on a white strip. @Whitegold, yep, it is awesome. Can’t believe they got guaranteed lift assisted skiing now in December. Times they are a changing. @jonnygoldsbrough, I initially thought this was good but I was at the Snowfactor at Braehead last week, the snow was really poor so not sure if Mr Smiths offer is such a good idea if he can't keep an indoor slope in good condition. @Canuck, They had the camera facing towards the carpark tow yesterday and you could see piles of snow, keep watching. Cairngorm staggers from one crisis to another. May be best to close it down. Focus more cash and effort on the other stations nearby, like Glenshee. Looks like most Scottish ski resorts will be closed or only ~10% open during the busy Xmas 2018 holiday season. Looks like a disaster season on the horizon.